Got a message that spinned my world with new Aranos album. 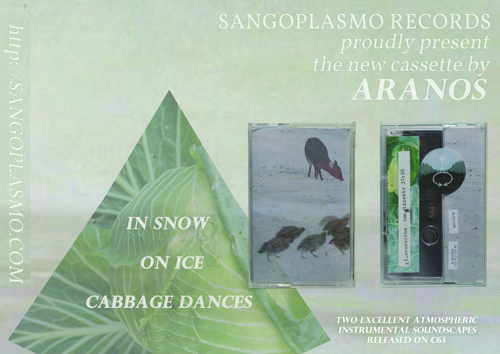 Meet new Polish label named Sangoplasmo and it's very first release — Petr's 2011 2-tracks/1-hour In Snow On Ice Cabbage Dances goodness. 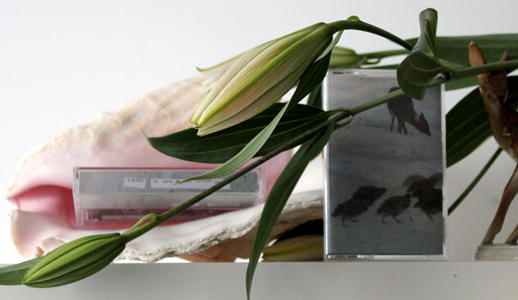 "Cabbage Dances is a professionally duplicated c63 cassette containing Aranos' two excellent experimental instrumental soundscapes recorded using double bass, drum, zither, santoor, shakuhachi, rainmaker, turntable, violin, atabaque, berimbau, bells and viola." If some of you was keeping an eye on this man's work, now you have a clue how to spend your excess 5 bucks. Available here.